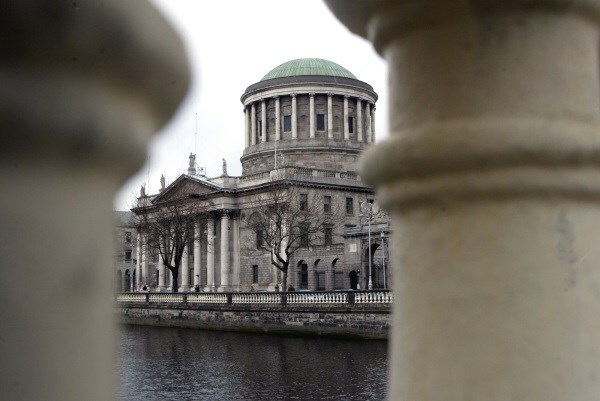 A hearing proceeded of his claim of negligence against Dr Marcus Timlin, a consultant orthopaedic surgeon with a practice at the Mater Private Hospital. That claim was dismissed by Mr Justice Kevin Cross in a judgment today. Mr McCormack, the judge noted, had a significant past medical history including, from 2007, operations for back pain performed by other doctors. He was referred in April 2009 to Mr Timlin with back problems “as bad as ever”. His claim against Mr Timlin concerned the latter’s care of him between March 11 and March 19, 2010. It was alleged he had developed Cauda Equina Syndrome (CES) which was not addressed until March 19 and, as a consequence of failure to address it in time, suffered significant personal injuries. The cauda equina nerves spray out from the bottom of the spine leading into the lower limbs and a patient can develop CES if pressure is brought to bear on them. CES can result in total loss of function of the lower limbs or significant injury and incapacity. Having assessed the evidence, the judge found, after index surgery on March 10th 2010, Mr McCormack was suffering from a developing CES resulting in pressure on his nerves. Had the intervention occurred earlier, Mr McCormack would not have developed the post-operative CES, neuropathic pain in both lower limbs, right-sided foot drop as well as some of the bladder pain, urinary dysfunction and other difficulties, including a considerable amount of his significant depression and two suicide attempts, he accepted. He also accepted the developing CES was there to be interpreted from films of a MRI scan of March 16. Despite those findings of fact, the plaintiff had failed to show, on the balance of probabilities, Mr Timlln was negligent, he ruled. The plaintiff had not shown Mr Timlin’s diagnosis, based on his discussions with the radiologist and an orthapedic colleague, that the MRI films did not demonstrate any haemotoma which might put pressure on the cauda equina nerve, was of such failure no medical practitioner of equal expertise would be guilty of it if acting with ordinary care. The developing CES was “a marginal thing” and Mr Timlin could not be faulted for his interpretation of the MRI and the course of action he took arising from his opinion. Had Mr Timlin been made aware of “potentially alarming” findings in a physiotherapy report of March 11th on Mr McCormack, which reported numbness in both buttocks, he was satisfied he would have acted sooner, he said. It was also “unfortunate, to say the least” that Mr McCormack’s own complaints and concerns to nurses were not fully noted and passed on to Mr Timlin. He could not conclude Mr Timlin’s decision not to operate until March 18th, where there was a deterIoration of neurological signs, and the operation being carried out as soon as possible on the 19th, was negligent. Costs issues of the 12-day case will be decided later.